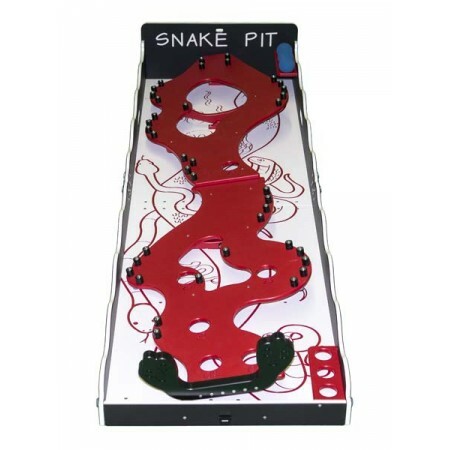 Snake Pit is perfect for older kids because it is one of our more challenging games. The objective: land the ball in one of the target holes without falling into the snake pit below. With your three tries, how many points can you score?